The team behind Highland single malt Glengoyne is lending its support to the restoration of the fire-hit Glasgow School of Art through a new gift tin. 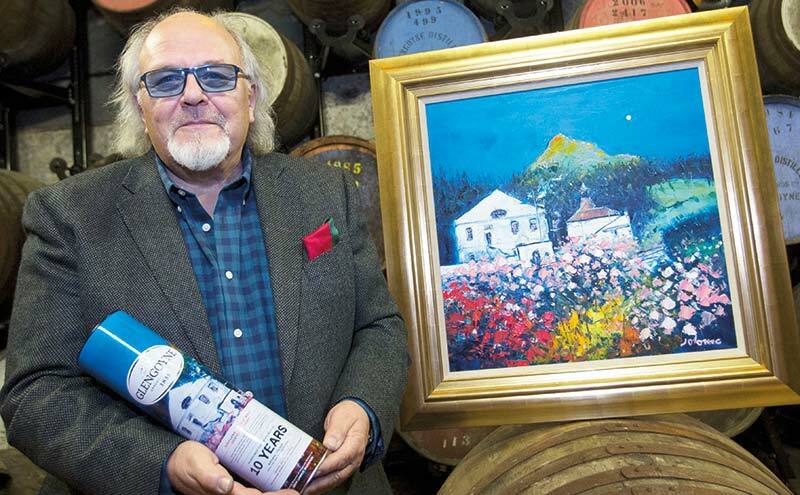 Ian Macleod Distillers’ Glengoyne Distillery has again joined forces with Glasgow School of Art graduate John Lowrie Morrison (Jolomo) for the third in a series of specially-commissioned seasonal paintings inspired by the distillery. ‘Spring Blossoms at Glengoyne’ will be printed on limited edition Glengoyne 10 year old gift tins, with Glengoyne making a donation to The Glasgow School of Art.